We barely escaped zombies last week, but now we’re faced with a new terror on the horizon: the Frankenstein in the garage. This week on The Next Generation Show, we will be going over the power of bringing things to life and the importance of redundancy and refurbishing in the home and on the homestead. Part of this challenge is being able to understand the principles of mechanics and the preventative measures we need to take to keep them alive. 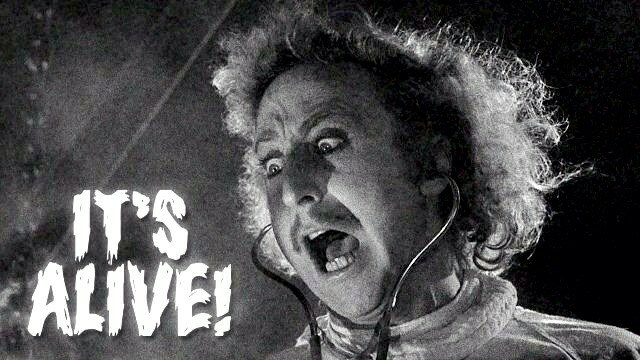 Listen to this broadcast or download “It’s alive! ALIVE! “Maintenance” in player below! Children often observe us fidgeting with cars and engines, small motor components, or malfunctioning electronics – usually when they fail. But the most critical lessons are learned in the proper maintenance and care. 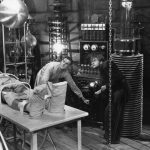 Just like Frankenstein’s monster created from a cluster of human parts, our machines sputter and cough to life when we need them most. Or at least we hope they will after months of neglect. And when they don’t, our mad scientist skills come into play. Our ability to know and understand these systems, how they’re related, and why the work or don’t work is imperative. What’s more, our ability to find, explain, and teach these skills is critical. We’ll be discussing some fall maintenance checklist items for your engines – big or small – how to build redundancy into your life by saving or storing parts, and the benefits of keeping old broken down equipment on hand as parts resources when long-term disasters strike close to home. From chainsaws to bug-out vehicles, we’ll be going over some of the choices you can make in your area that will keep your engines alive and running in good times or bad, and some quick diagnosis tips if you find yourself struggling. Also, don’t miss out on the Pint Sized Prepper Project of the Week where we use routine lawnmower maintenance as a tool for identifying problems, sharpening blades and changing fluids before we put them away for the winter months. Next: Next post: Silence the Opposition!